Moonlight Blue Metallic 2018 Audi Q5 2.0T Premium Plus quattro quattro 7-Speed Automatic S tronic 2.0L TFSI Black w/Leather Seating Surfaces, ABS brakes, Alloy wheels, Compass, Electronic Stability Control, Front dual zone A/C, Heated door mirrors, Illuminated entry, Low tire pressure warning, Power Liftgate, Remote keyless entry, Traction control. 23/27 City/Highway MPG Nemer VW has been selling and servicing vehicles for 45 Years in the Capital District and takes pride in offering value pricing based on the current market and availability. Please contact us for additional photos, vehicle features and payment or price estimates. We service all makes and models in our #1 rated service department! Visit us online at NemerVW.com for all the latest specials! Blue Pearl 2018 Jeep Compass Sport 4WD 9-Speed Automatic 2.4L I4 4WD. Recent Arrival! 22/30 City/Highway MPG Nemer VW has been selling and servicing vehicles for 45 Years in the Capital District and takes pride in offering value pricing based on the current market and availability. Please contact us for additional photos, vehicle features and payment or price estimates. We service all makes and models in our #1 rated service department! Visit us online at NemerVW.com for all the latest specials! billet silver metallic clearcoat 2016 Jeep Cherokee Latitude 4WD 9-Speed 948TE Automatic 3.2L V6 Recent Arrival! Nemer VW has been selling and servicing vehicles for 45 Years in the Capital District and takes pride in offering value pricing based on the current market and availability. Please contact us for additional photos, vehicle features and payment or price estimates. We service all makes and models in our #1 rated service department! Visit us online at NemerVW.com for all the latest specials! steel metallic clearcoat 2016 Jeep Grand Cherokee Limited 4WD 8-Speed Automatic 3.6L V6 24V VVT 4WD. Recent Arrival! Odometer is 1816 miles below market average! Nemer VW has been selling and servicing vehicles for 45 Years in the Capital District and takes pride in offering value pricing based on the current market and availability. Please contact us for additional photos, vehicle features and payment or price estimates. We service all makes and models in our #1 rated service department! Visit us online at NemerVW.com for all the latest specials! Diamond Black 2017 Jeep Cherokee Latitude 4WD 9-Speed Automatic 3.2L V6 Recent Arrival! Odometer is 2531 miles below market average! Awards: * 2017 KBB.com 10 Most Awarded Brands Nemer VW has been selling and servicing vehicles for 45 Years in the Capital District and takes pride in offering value pricing based on the current market and availability. Please contact us for additional photos, vehicle features and payment or price estimates. We service all makes and models in our #1 rated service department! Visit us online at NemerVW.com for all the latest specials! Magnetic Black 2016 Nissan Rogue S AWD CVT with Xtronic 2.5L I4 DOHC 16V AWD. Odometer is 10193 miles below market average! 25/32 City/Highway MPG Awards: * 2016 KBB.com 10 Best SUVs Under $25,000 Nemer VW has been selling and servicing vehicles for 45 Years in the Capital District and takes pride in offering value pricing based on the current market and availability. Please contact us for additional photos, vehicle features and payment or price estimates. We service all makes and models in our #1 rated service department! 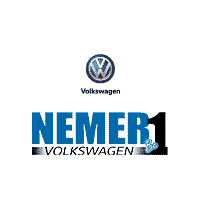 Visit us online at NemerVW.com for all the latest specials!